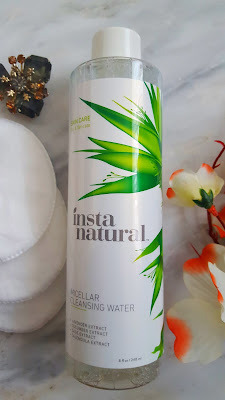 A couple of weeks ago InstaNatural sent me a facial cleanser that I fell in love with. They kindly offered to sent me the Micellar Cleanser Water to try out and I jumped at the chance. 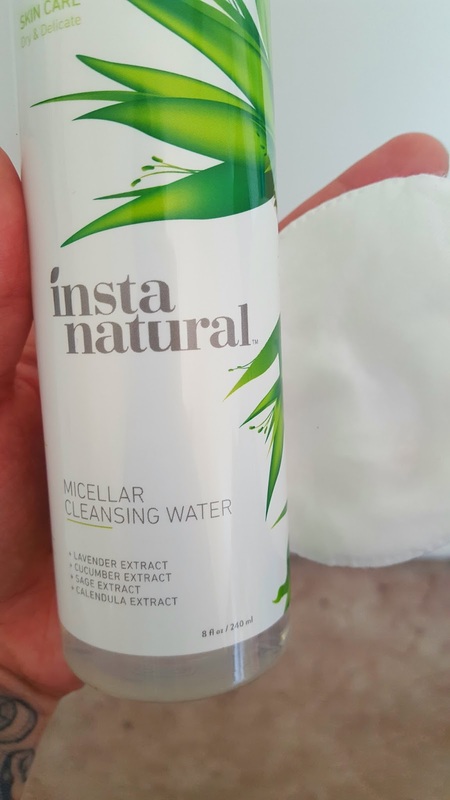 I was not disappointed by the cleanser water. 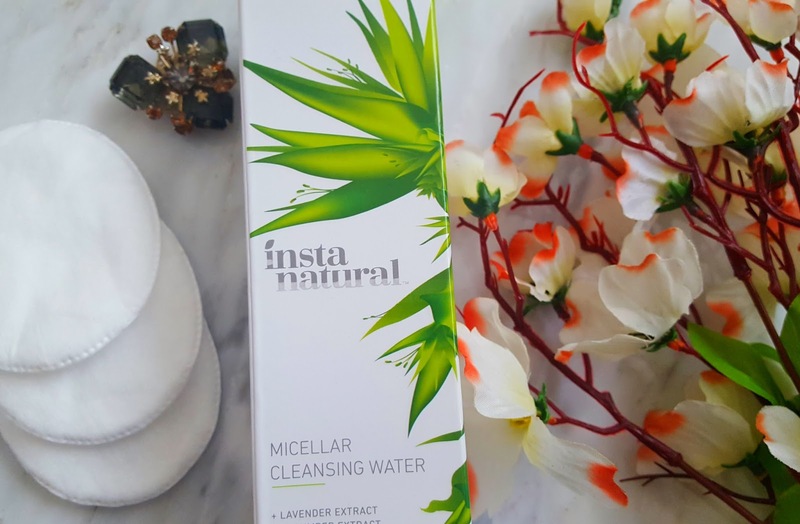 It contains lavender extract, cucumber extract, sage extract and calendula extract. 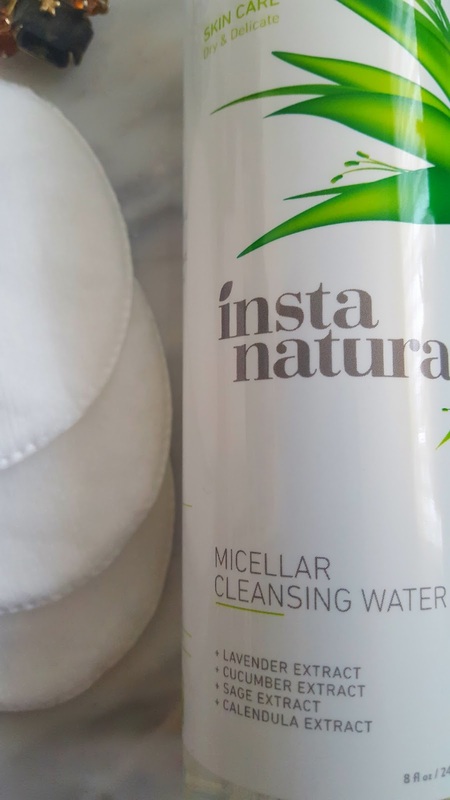 I was super impressed that it not only took off my waterproof mascara and dark lipstick, but it made my skin feel super clean and moisturized. It's a true water consistency and the scent, much like the cleanser, is super natural. It smells sort of like plants, but in a good way. 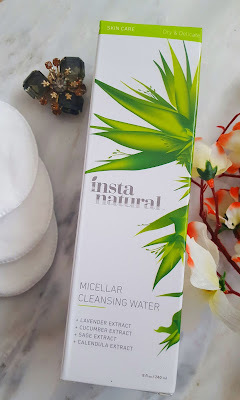 I've never tried any micellar water apart from the Garnier one (which I love) but it's always nice to discover new ones! The packaging is lovely & it sounds fab! Thank you for this review, sweetie. Off to read other posts of yours <3 Missed ya!!! This sounds so good! I love that it has all-natural ingredients, that's always good! Hope you're doing well Kim! 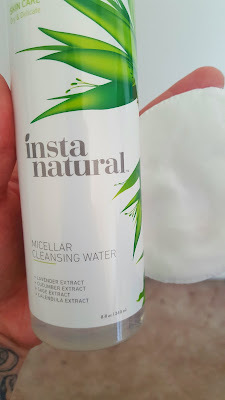 Sounds very pleasing and I love antpything with lavender extract!! Hope your week is going great beautiful lady!! I LOVE cucumber and the smell, so if it has any of that...I'm sold! I can't get over how well these waters work..who would have thought...WATER! haha, so simple and brilliant. What a great find, thanks for sharing beautiful!